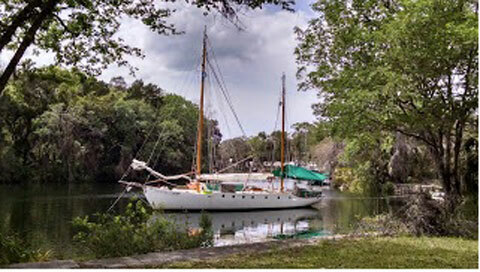 Offered here for $44,000 is Ralph Munroe's last boat afloat, Carib II. 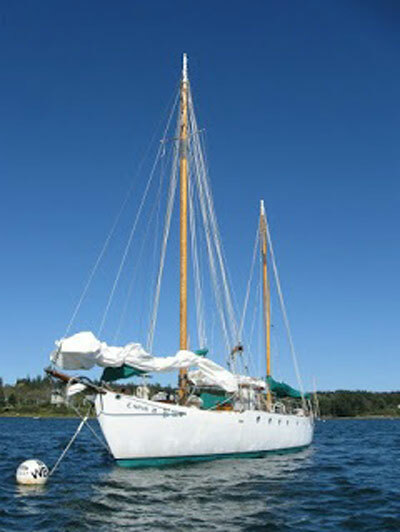 Carib II, built in 1924, is the sistership to the Alice, a yacht written about by her owner, Henry Howard in 2 books. The first, printed in 1926, is "The Yacht Alice". The second was, "The Yacht Alice, Twenty Years After" published in 1946. 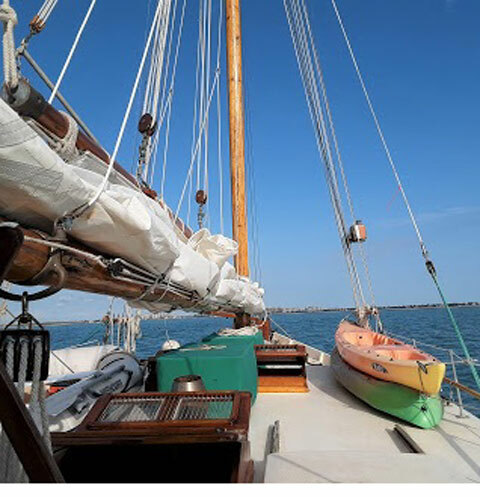 These boats were the best documented builds of their era and the books chronicle their beginnings from Howard's first visit to see Commodore Munroe in Coconut Grove. 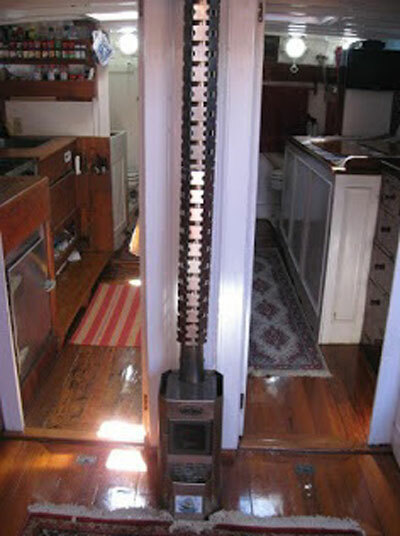 This is a gorgeous old yacht with all her original details and hardware. The interior is original with mahogany curved stairs that mover me to tears when I first stepped below. Carib II was built to stay offshore in any weather and is heavily framed. She only draws 4', making her an ideal boat for exploring the Keys and Bahamas. Carib II has 2 fuel tanks of 150 gallons each for a 300 gallon total giving a range of 2000 miles under power alone. Carib II was part of the Hooligan Navy in WWII and was repowered by the Navy with a GMC 2-71 diesel. The engine runs perfectly and has zero leaks. I have been through it extensively and even installed .002 undersize rod and main bearings to tighten up the bottom end. I bought the boat in 2006 without a survey and only realized later that she was fastened with iron in 1924 and was needing help with that. I took the boat to Maine in 2008 and hired a professional 5 man crew to install fiberglass sheathing 1/2" thick on the entire hull up the the decks. 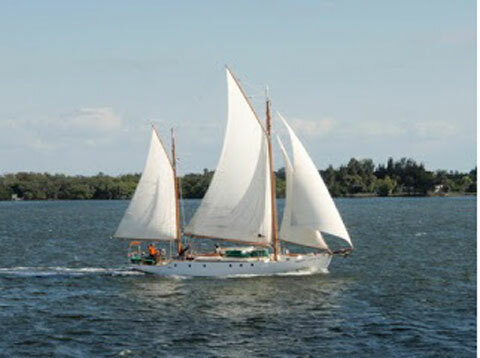 This job was done to the full Allan Vaitses specifications that he published in, "Covering Wooden Boats with Fiberglass". Wooden Boat Magazine published an 8000 word story of the sheathing process in issue number 228 from Sept/Oct 2012. Since the sheathing was done this boat has completely dry bilges. There is zero hull work to be done anymore except bottom painting. Now, after 13 years, 7 cruises to the Bahamas, 3 voyages to Maine and 3 trips up the Gulf coast, we are getting old and are sailed out. This historic vessel needs a new steward who can love and maintain her like she needs. Included in the sale are a full cruising inventory of 4 -#60 Barnacle anchors with rodes, Mercury inflatable dinghy with 8hp Yamaha, Garmin GPS with depth finder, swim platform, Uniden VHF base radio and Uniden handhald VHF, Icom IC-M710 marine radio and new Icom AT-130 antenna tuner. Also included is a Penn deep drop electric drive fishing rig with 1500' of 80# line, a Hydroglo 4' fish light. Built in 1924 by Brown and Sons in Tottenville, Staten Island, NY. Designed by Ralph Munroe of Coconut Grove, FL. Original raised deck design later copied by S. S. Crocker. 4 sails – main, mizzen, staysail, and jib. 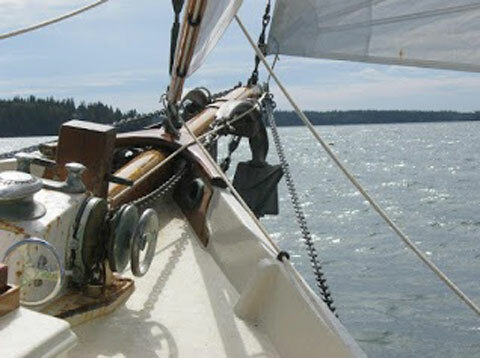 Jib, staysail and main are nearly new, mizzen is well used. 4 – 60 lb. Barnacle anchors with rodes. 2 - 150 gallon fuel tanks. Raymarine autopilot with new belt. Garmin GPS with depth finder. Equipped with antique oversized Edson steering gear. 1 VHF Uniden Solara DSC radio. 1 new Jabsco head with new stainless steel 44 gallon holding tank and one new Jabsco overboard head for use off shore where legal. Full Sunbrella covers for sails, skylights, deck boxes, etc. 3 water tanks holding approx. 50 gallons potable water. 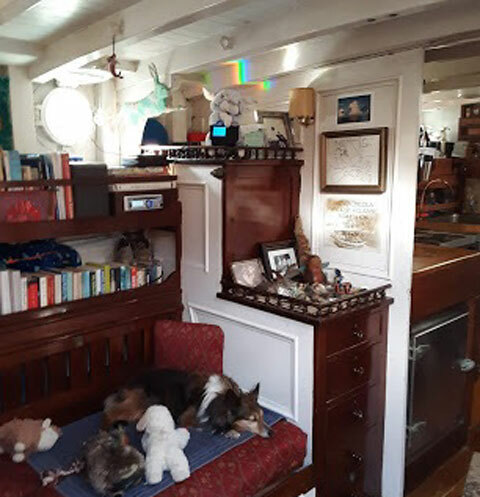 The boat is very original and well maintained both inside and out. Dickenson diesel cabin heater and engine powered Volvo cabin heater. 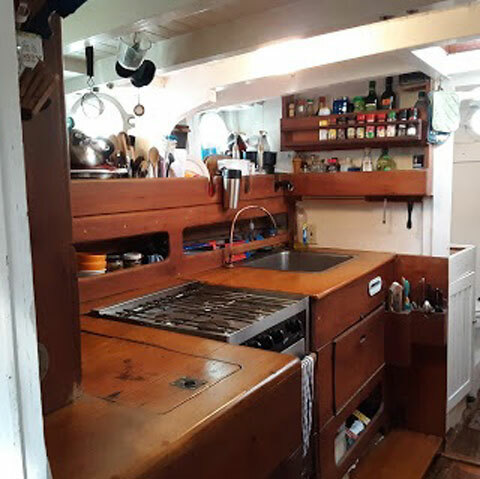 Force 10 propane gimballed galley stove with oven. Very large and deep galley sink. Large holding plate refrigerator powered by engine mounted compressor. Great ventilation with 3 large screened butterfly skylights and screened opening ports. 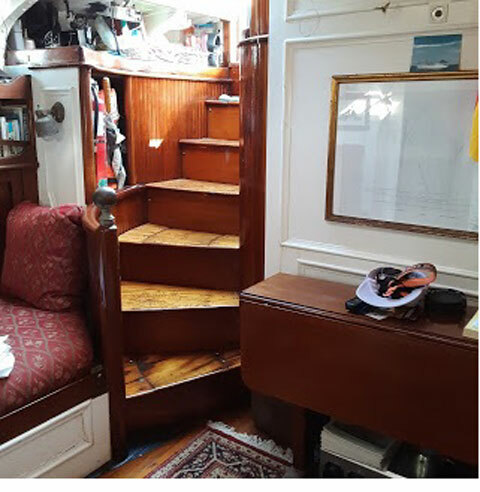 Original 1924 mahogany interior with curved staircase leading to the deck. Hydroglo 4 ft. fish light. Penn deep drop electric drive fishing rig with 1500’ of 80 lb. line. Mercury 9’ inflatable dingy with 8 hp Yamaha engine. Both in good condition. 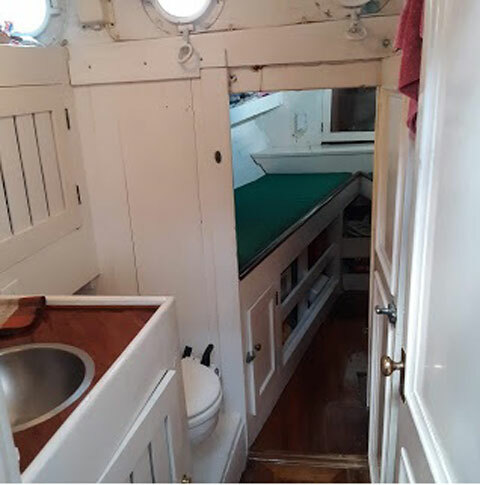 Very comfortable gentleman’s live aboard cruiser. This beautiful vessel may be 95 years old but she still loves to get dressed up and go on a trip. You will be entranced by her beauty and grace. She is the “beauty boat” in every harbor. She is one-of-a-kind now and there will not be another. My goal is to find her next steward who will love her as much as I have. All serious offers will be considered.